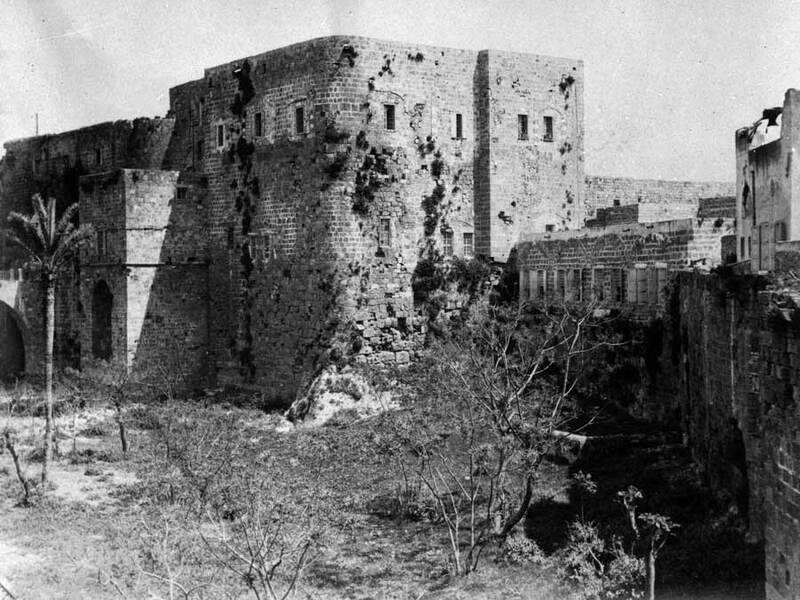 A century and a half ago, Baha’u’llah arrived in the Holy Land as a prisoner in the most harrowing of conditions. Despite great suffering, Baha’u’llah penned a series of extraordinary writings addressing the kings and rulers of the time. 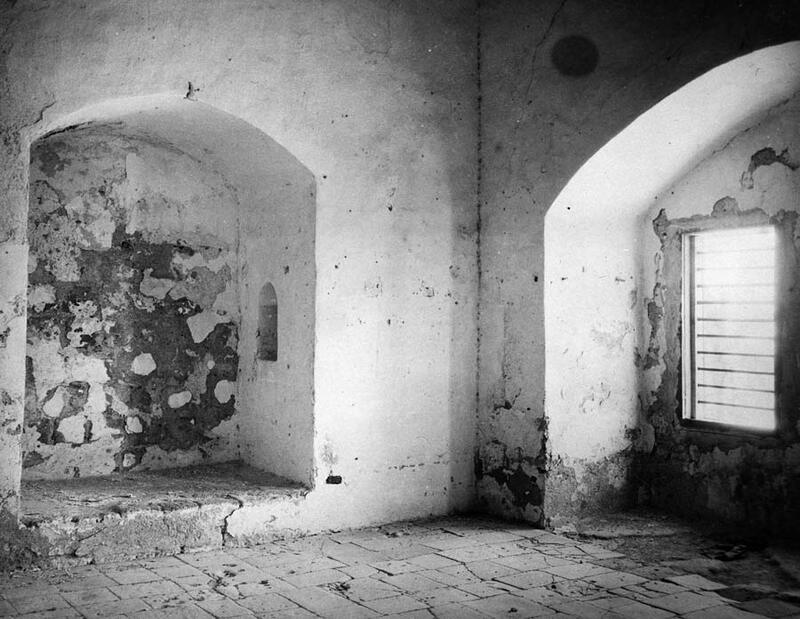 This 1921 photo shows the prison cell in which Baha’u’llah was kept for more than two years from 1868 to 1870. It was here where he revealed some of the messages to the kings and rulers of the world. Lay not aside the fear of God, O kings of the earth, and beware that ye transgress not the bounds which the Almighty hath fixed. Observe the injunctions laid upon you in His Book, and take good heed not to overstep their limits. Be vigilant, that ye may not do injustice to anyone, be it to the extent of a grain of mustard seed. Tread ye the path of justice, for this, verily, is the straight path. Compose your differences and reduce your armaments, that the burden of your expenditures may be lightened, and that your minds and hearts may be tranquillized. Heal the dissensions that divide you, and ye will no longer be in need of any armaments except what the protection of your cities and territories demandeth. Fear ye God, and take heed not to outstrip the bounds of moderation and be numbered among the extravagant. – Baha’u’llah, The Summons of the Lord of Hosts, p. 188. The third and final podcast episode on the 150th anniversary of Baha’u’llah’s arrival in the Holy Land contains interviews that explore these historic messages. The vision in these works is relevant not only to the world of the 19th century and today, but far beyond this generation, foreseeing the reorganization and transformation of the entire planet and the emergence of a global civilization that is spiritually and materially coherent. “It is remarkable how Baha’u’llah’s vision from 150 years ago addresses our current situation,” says Bani Dugal, Principal Representative of the Baha’i International Community, anticipating the gathering of world leaders next week in New York for the 73rd session of the United Nations General Assembly. The magnitude and diversity of the theme, the cogency of the argument, the sublimity and audacity of the language, arrest our attention and astound our minds. Emperors, kings and princes, chancellors and ministers, the Pope himself, priests, monks and philosophers, the exponents of learning, parliamentarians and deputies, the rich ones of the earth, the followers of all religions, and the people of Baha—all are brought within the purview of the Author of these Messages, and receive, each according to their merits, the counsels and admonitions they deserve. No less amazing is the diversity of the subjects touched upon in these Tablets. The transcendent majesty and unity of an unknowable and unapproachable God is extolled, and the oneness of His Messengers proclaimed and emphasized. 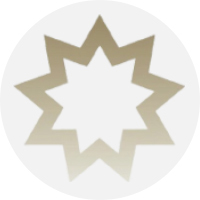 The uniqueness, the universality and potentialities of the Baha’i Faith are stressed, and the purpose and character of the Babi Revelation unfolded. – Shoghi Effendi, The Promised Day is Come, pp. 44-45. He Who is the Unconditioned is come, in the clouds of light, that He may quicken all created things with the breezes of His Name, the Most Merciful, and unify the world, and gather all men around this Table which hath been sent down from heaven. – Baha’u’llah, Epistle to the Son of the Wolf, p. 45. The Baha’i World News Service is publishing a series of podcasts about the 150th anniversary of Baha’u’llah’s arrival in the Holy Land. This article is the introduction to the third of the podcast episodes. Listen to the podcast here. There is great irony in the fact that there exists incalculable suffering brought on only by an unwillingness to accept and embrace the Testament of Baha'u'llah, whereby many Kings see themselves as avoiding such turmoil by shunning the Lord of the Age. They are misguided indeed.